Put away the calculator and let taxes calculate themselves! 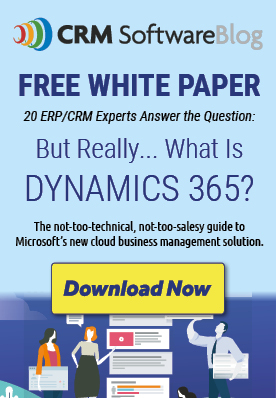 Sure, you can enter taxes in Microsoft Dynamics 365 for Sales (formerly CRM), but wouldn't it be nice if you didn't have to calculate them too? With the Rockton Software Tax Processing app, the taxes are calculated for you. This means your taxes will be more accurate and your team will save time when entering records. The set-up is simple. You create Tax Details that define what your tax amount or tax percentages are to be calculated. Create as many details as you need. Then, simply assign those Tax Details to a Tax Schedule. For example, you may have a city tax, a county tax, and a state tax that all need to be calculated on one document. Create a Tax Detail for each of them and then assign all three to the Schedule. When that Tax Schedule is used, those three taxes will automatically be calculated. To make things even easier, you can assign default Tax Schedules to your Products or Customers. On the Product you determine whether the taxes are to be based on Product, Customer, or no tax at all. Then, when you enter a record, the Tax Schedule will default and taxes will calculate. Tax Processing will work with Opportunities, Quotes, Orders, and Invoices in Microsoft Dynamics 365 for Sales. As an added bonus, Rockton Software has included an additional document called Sales Documents. The Sales Document offers you the flexibility to have additional Document Types as well as have more control over the Document Number. This is beneficial should you integrate with other ERP systems. For more complex tax situations or when you have tax amounts/percentages that are frequently changing, you might use Avalara AvaTax. The Tax Processing app will integrate with AvaTax too. This way you can establish your own custom taxes or use the built-in integration with AvaTax. Tax Processing is now available for download on the Microsoft AppSource. Also, for a limited time only, download a free trial and be eligible for 6-Months FREE! If you would like to see a personal demo or if you have more questions on Tax Processing, contact our sales team at [email protected].